Welcome to our newly developed and designed website! Knowing that you depend on our research and insight to develop new, innovative ideas and strengthen policy and practice, we’ve designed our site to make it much easier to find and share resources. Into the field of International transport and cargo service in Egypt Zexel cargo company provides more than a cargo operation service, but it presented an integrated business based on long experience, perfection, professionalism and in-time action. Our company based in Cairo who has a customized solutions. 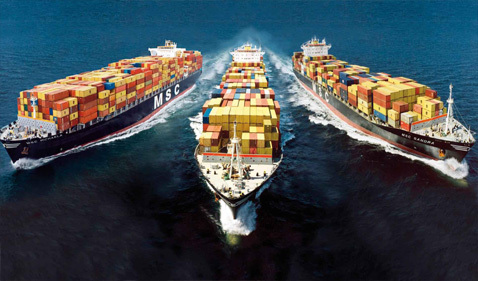 We have a long history & experience in the field of Logistics as well as Supply chain management. Our main edge is that we never lose sight of the fact that the core of our business is Personalized Customer Service. We have a diversified portfolio of Freight Management, Zexel Egypt offers highly specialized services, including Defence and Government Services, Project Logistics, Fairs and Events also special multi-modal service for perishable goods. Where we add to each of these businesses an additional Customer Care Service. Express Special Services are here to help you. Time Critical Services - Speed, no limits, local and global, guaranteed. Freight Services - Flexible worldwide delivery by air, road and sea. Special Handling Services - Extra care and extra security. Store apart and Distribution Services - When you need your product to be closer to your customers. Outsourced Services - Enabling you to focus on your core business activities. Zexel Egypt is committed to preserving the privacy of users of our websites.